I've also got a Plus 1 Interface but the serial sticker has been lost before I got it. I can take some pics of the board but don't know if the serial number is shown elsewhere! Last edited by martinjharvey on Sun Oct 18, 2015 6:43 pm, edited 2 times in total. My Master 128 's serial number panel is blank (!) but there is a sticker on the motherboard saying '397889' if that's of any relevance. 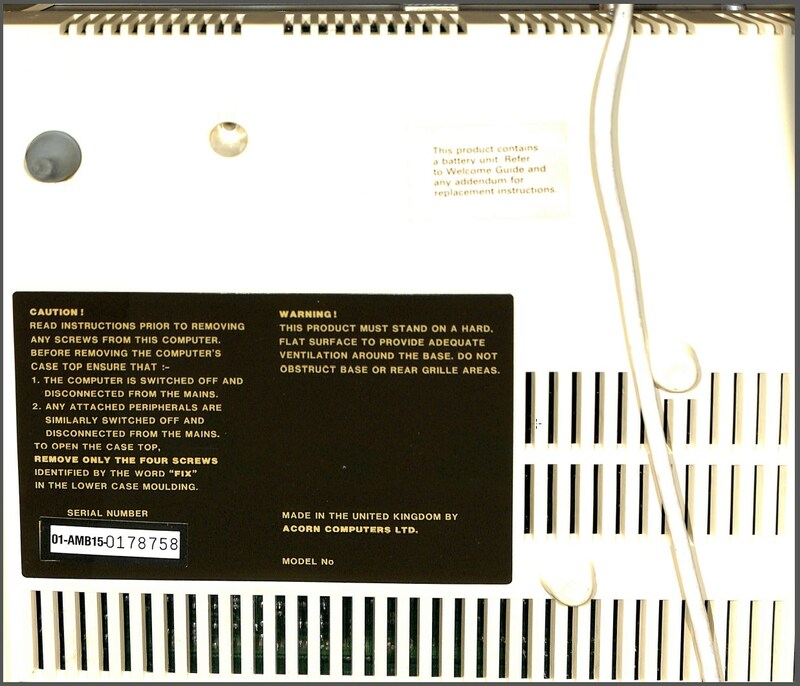 The top of the PSU has a label saying 'SN 6567 WK 9008'. I have an Electron, 4 BBC B's, 2 Master 128 and a Risc PC too, but will have to post these a little later as I don't have easy access to them at the moment. It is for an issue 7 regular Model B. So it belongs to a category where you probably have sufficient data. But I provide it nonetheless. But as it has no Daughter board I am guessing it is produced later? Some chips are from 1984.